The Hotel Cruz de la Victoria takes care of all its services and facilities up to the last detail. Room service until 00:00 every day of the year. State-of-the-art gymnasium with a useful surface of more than five hundred square meters. Transfers to the airport upon request. 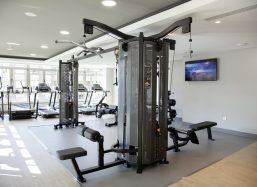 State-of-the-art gym with a useful area of more than five hundred square meters for clients and non-customers. The gym service will be included free for all people staying at the hotel. 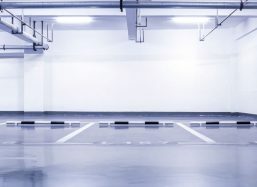 The Hotel has an underground parking available to customers located in the vicinity of the establishment. The parking service can be hired in advance when making the reservation. 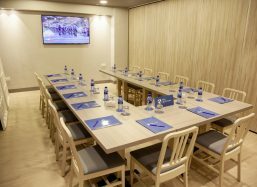 We have two functional meeting rooms that can be adapted by different configurations to the needs of each client and combined to achieve greater capacity if necessary. 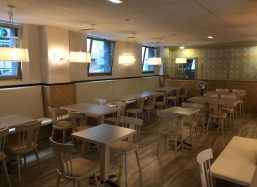 In the vicinity of the hotel we have the “Restaurant La Competencia” whose menu is available to all our customers with room service and where they emphasize their famous pizzas and a careful menu of the day.